Waterloo – Ontario students head back to school on Sept. 5. Bree Akesson, assistant professor in Laurier’s Faculty of Social Work, is an expert on international child protection. She recently authored a paper on the role of comic books in the classroom. Contact information: bakesson@wlu.ca. David Johnson, professor in Laurier’s Lazaridis School of Business & Economics, is an expert on the economics of education, school testing and quality and access to post-secondary education. Contact information: djohnson@wlu.ca. Julie Mueller, associate professor in Laurier’s Faculty of Education, is an expert on developmental psychology, elementary education, digital technology in the classroom, and teacher education. Contact information: jmueller@wlu.ca. Christine Neill, associate professor in Laurier’s Lazaridis School of Business & Economics, is an expert on the economics of education. Contact information: cneill@wlu.ca. 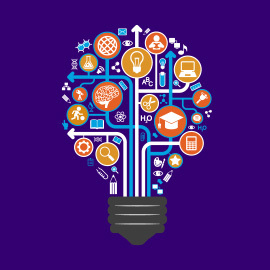 Colleen Willard-Holt, dean of Laurier’s Faculty of Education, is an expert on interdisciplinary instruction, problem and project based learning, gifted and special education, educational neuroscience, teacher education, and twice-exceptional students. Contact information: cwh@wlu.ca.